VIRGINIA BEACH, Va. (WAVY) -- A 19-year-old man and three juveniles were arrested in connection to the murder of an Ocean Lakes High School student. 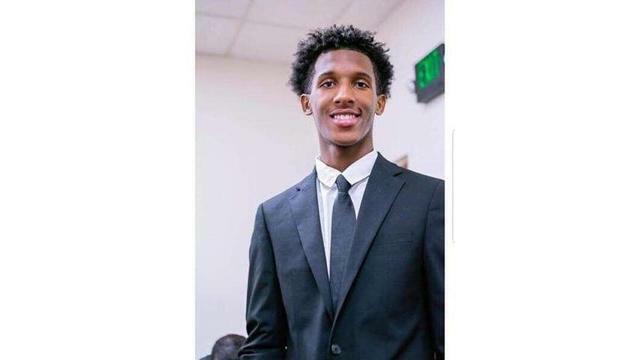 According to Virginia Beach Police, a shooting that happened around 4 p.m. on Tuesday in the 2700 block of Elson Green Avenue left 17-year-old Christopher Ross dead. Police said the shooting did not appear to be random. Jacob Alexander Meadows of Virginia Beach was taken into custody and charged with second degree murder, three counts of distribution of marijuana, use of a firearm, two counts of conspiracy to violate the Drug Act and possession of marijuana within a school zone in relation to Ross's death. Meadows is being held in the Virginia Beach Correctional Center without bond. Two juveniles were arrested and charged with robbery, conspiracy to violate the Drug Act and use of a firearm in connection to the homicide. A third juvenile was arrested and charged with distribution of marijuana and conspiracy to violate the Drug Act. In court Friday morning, bond was withdrawn for Meadows for the distribute marijuana charge. Appearing via webcam, Meadows faced a judge for the first time since his arrest. The teen sat quietly as the charges against him for second-degree murder and use of a firearm in commission of a felony were read in the courtroom. The teen is also facing drug charges stemming from Tuesday’s shooting. Meadows’ family was in the courtroom and looked on during the hearing. A judge asked the teen how he wanted to be represented. “Are you planning on hiring an attorney or asking for court appointed counsel?” The judge said. “I plan on hiring an attorney, your honor,” Meadows replied. Two more court dates have been set. Meadows is scheduled to appear again on the murder and firearm charge on Dec. 21. Another court date for the drug charges is set for Dec. 27. 10 On Your Side reached out to Meadows’ attorney for a comment but did not hear back. We will continue to follow up on this story and let you know of any updates.